The main function of the kidney in the body is purification.In this disease,the person's kidneys lose the ability to work,due to which the waste and fluid does not remove from the body. Acute - Acute kidney problems are very fast. However,in most cases after treatment this problem gets cured and kidneys work comfortably. 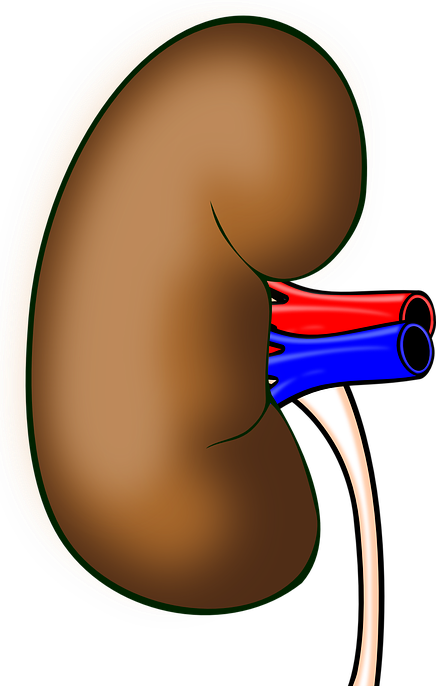 Chronic - This occurs when the kidney is in serious condition or not working from three months or more.Chronic kidney problem increases if it is not properly treated.If conditions are more serious then kidney dialysis or kidney transplant may be needed. How to detect renal disease? For this, you have to check the creatinine and urea in the blood,which can be detected the kidney function.When the kidney worsens, the blood pressure of that person increases and the person gradually becomes weak.The number of kidney patients is increasing day by day.The main reason for this is the long-term use of medicines in our diseases like heart disease,asthma,tuberculosis,diabetes and high blood pressure. Important - Heart and kidneys work together in mutual cooperation.Therefore,when someone has heart disease,his kidneys are likely to worsen. Reduce the use of painkillers and without the consultation of the doctor never. Consume the least amount of salt. Stay away from alcohol cigarettes. Keep the body weight in control. Use more and more green vegetables. Avoid extra stress and follow healthy life style.